Experience is not measured by a number – but by proven results. Home and commercial building owners looking for a professional roofing company in the Phoenix Valley to build, repair, or replace their roofs, should always reach out to contractors with experience you can trust. For this reason, hundreds of residential and commercial property owners have depended on AZ Roofing Works for their complete roofing needs. AZ Roofing Works is a licensed, bonded and insured roofing company, headquartered in Mesa, Arizona. Our locally-owned roofing business has been serving the Phoenix Valley with high-quality roofing construction, repairs, and replacement services since 2013. 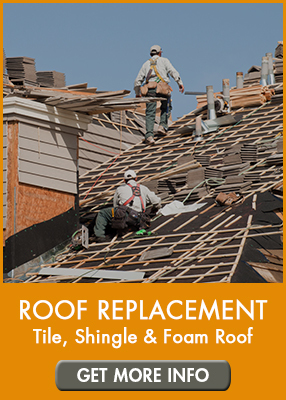 We are proven experts in Residential & Light Commercial Tile, Shingle, Foam & Flat Roof Repair and Replacements. AZ Roofing Works leverages extensive knowledge, dedication to quality over quantity, and proven results to complete our roofing projects in a timely manner, and always with a focus on superior craftsmanship. Our team works with home owners, business owners, real estate agents, property managers, insurance companies, and others to complete roofing construction, repairs, and improvement services in Mesa, Chandler, Scottsdale and beyond. 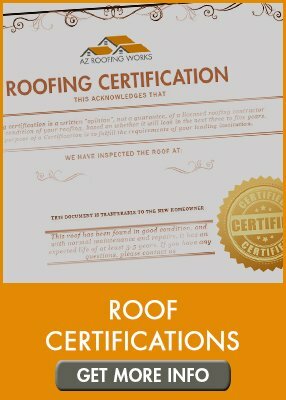 Our knowledge of Arizona’s extreme weather conditions, and the unique construction our roofs must have in order to maintain integrity is a strength of AZ Roofing Works. Our team is comprised of professional and licensed roofing contractors that use the highest-quality materials and advanced technology with each roofing project we undertake. Whether you live near ASU and need a Tempe roofing company, or off the 101 or I-10 – our team of passionate and experienced professional roofers will cater to your needs. 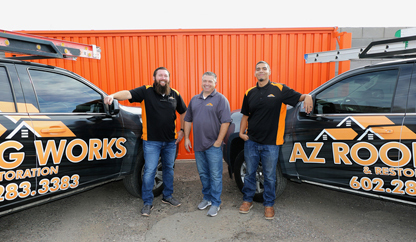 Our dedication to craftsmanship, getting the job done right – the first time, and our dedication to open and clear communication are trademarks of AZ Roofing Works. 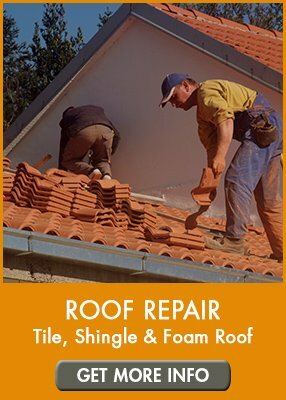 We offer Experience You Can Trust – and we offer FREE roof estimates all the way to full roof replacements and everything in between for tile roofing, shingle roofs, foam roofs, flat roofs and light commercial. If you are in need of high-quality and affordable roofing services in Mesa, Chandler, Scottsdale, Tempe, Gilbert or any other Metro Phoenix location, AZ Roofing Works is ready to help you! Contact us today, either online or call our office directly at (602) 283-3383. We look forward to serving you and giving you peace of mind with your roofing situation.